Institute of Biochemistry, Food Science and Nutrition. Dr. Moria Golan is a senior teacher in the School of Nutritional Sciences. She is active in dietetic student education and in training and supervision of experienced and non experienced dietitian. She has written numerous articles in the eating disorder and obesity field over the past ten years, with particular emphasis on clinical intervention models and on the interaction patient-therapist. Dr. Golan has presented numerous keynote addresses at national and international conferences. She is an active member of the Israeli Eating Disorders Society and a member of the International Eating Disorder Research Society. 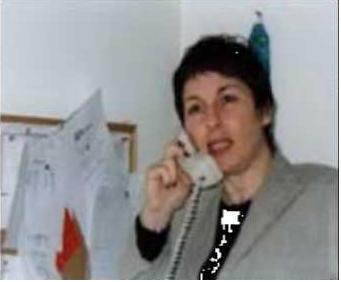 Dr. Golan is the establisher and director of Shahaf, Eating Disorders Intensive Treatment Center. She is the head of a group of 35 therapists specializing in the treatment of eating disorders. Address: Moshav Ganey Hadar Mobile post Soreq 76830, Israel. Ph.D. from: The Sackler Faculty of Medicine, Tel Aviv University. Energy balance and body composition. Obesity and eating disorders: etiology and treatment. Scientific reading and writing skills. Psyco-behavioral aspects of changing eating habits. Behavioral and psychological aspects of obesity and eating disorders. The dynamics among team members treating eating disorders. Clinical and psychological characteristics in recovered and non-recovered anorexia nervosa female patients. The effect of added physical exercise during re-feeding in anorexic patients on the re-habilitation of fat-free mass, rate of weight gain and other physiological characteristics. Treatment of childhood obesity: parents vs. parents and child as the main agents of Change. Biological and Psychological predictors of weight gain rate in anorexic patients treated in a community outpatient center vs. inpatient unit in general hospital. Impact of familial characteristics on weight loss, hyperlipidemia and eating behavior of Bucharic obese patients. Golan M., A. Weizman, A. Apter and M. Fainaru. Parents as the exclusive agents of change in the treatment of childhood obesity. Am J Clin Nutr 1998; 67:1130-1135. Golan M., A. Weizman, A. Apter and M. Fainaru. Role of behavioral modification in the treatment of childhood obesity with the parents as the sole agent of change. In J Obesity 1998; 1217-1224. Golan M., A. Weizman. Reliability and validity of a family eating and activity habits questionnaire. Eur J Nutr 1998; 52:1-7. Golan M. Case Study: Treating anorexia nervosa in a foster family. J Am Coll Nutr 1998;18:1-3. Golan M., M. Fainaru and A.Weizman. Food consumption and cardiovascular risk factors in weight-loss program with the parents vs. children as the sole agents of change. Archives of Disease in Childhood. Acta pediatr 1998;87: 1288-94. Golan M., A. Weizman, M. Fainaru. Impact of treatment for childhood obesity on parental risk factors for cardiovascular disease. Prev Med 1999; 29:519-526. Golan M. Caloria. The full guide to calories. Tel Aviv: Caloria publication, 1999. Golan M. Eating Disorders in Adolescents In: Nutrition in the Life Cycle. Tel Aviv: Aorora Publication, 2000. Golan M. ATID, The Committee for Eating Disorders: Guidelines for Dietitians, Atid and Abbott speciel publication, 2000. Golan M. Treating childhood obesity with the parents vs. the child as the sole agent of change. Invited article for Journal Salud Cientifica 2000;3:132. Golan M., M. Fainaru and A. Weizman. Familial approach to the treatment of childhood obesity: A conceptual model J Nutr Educ 2001;33 (2): 102. Golan M. Influence of the home environment on the development and treatment of childhood Obesity. Invited article for Annales Nestle 2001 (translated to 4 languishes). Golan M and T.Ostrosky. Clinical mentors as bridge to life in eating disorders treatment. Israel Journal of Medicine 2001;6:487-494. Golan M and R. Asher. Case Report: Co-morbid Paranoid Schizophrenia and Eating Disorders. Sichot 2002 (accepted). Golan M and R Asher. Co-morbid Anorexia Nervosa and Psychosis - Collaboration of general hospital and community based services. Psychiatric Services 2002 (submitted). Golan M. Coping with Eating Disorders in the Natural Environment - Community Outreach Services. Int J Eat Disord 2002 (submitted). Golan M., A. Berger and S. Flint. The inner split in bulimic patients - psychodrama group therapy. Group Ther 2002 (submitted). Site Content Copyright (c), 2001, The Hebrew University of Jerusalem. All Rights Reserved.